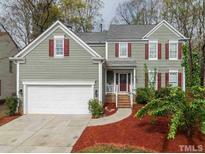 Below you can view all the homes for sale in the Lochmere subdivision located in Cary North Carolina. Listings in Lochmere are updated daily from data we receive from the Raleigh multiple listing service. To learn more about any of these homes or to receive custom notifications when a new property is listed for sale in Lochmere, give us a call at 919-634-6501. This is a community known for its private swim & tennis club + two lakes, fishing docks, biking & walking trails! MLS#2247842. 4981. New roof, fresh exterior & interior paint, rear stair case off bonus room. MLS#2242343. 1954. The walk out lower level offers a large full bath & bedroom ensuite, bonus area & large heated/cooled workshop. MLS#2242780. 3333. Large bedrooms! Walk up attic! HURRY! MLS#2246922. 5026. Come tour your new home today! MLS#2246608. 326. Follow the Greenway to Lochmere Golf Club or Regency Lake. MLS#2246440. 1618. Easy access to all areas of Triangle. MLS#2244981. 1126. HOA's include 3 pools & 5 tennis courts! Tons of connecting trails MLS#2243655. 5026. Lochmere offers miles of Walking Paths, Swim & Tennis & 3 lakes. Welcome home! MLS#2240990. 986. Enjoy quite evenings on your large private screened porch. MLS#2241522. 3333. Spacious fenced yard on a culdesac. Walk to swim & tennis. MLS#2241710. 986. Large Bonus Room on 2nd floor Backyard features a lovely pond and fountain and landscaped to enjoy outdoors. MLS#2238896. 986. Walk to coffee shop, restaurants, Whole Foods. GREAT LOCATION! MLS#2237091. 350. Peaceful views with golf, pool, tennis, walking trails and easy access to dining, shopping, Wake Med & easy access to hwy. MLS#2236034. 1682. This home boasts refinished hardwood floors on the first floor; freshly painted interior and exterior; new carpeting; custom moulding; chef's kitchen with custom cabinets, granite, large pantry; both formals and family room with custom cabinetry and cathedral ceiling; beautiful backyard with fruit trees (fig, pear and pecan); community has 3 pools, walking trails, lakes, tennis MLS#2223841. 1710. Short walk to Whole Foods, golf course & pools/tennis. MLS#2214053. 3333. Enjoy Lochmere Swim & Tennis Club, 3 lakes & 10 miles of walking trails.Semi-private golf club.close to everything. MLS#2212871. 1649. Enjoy Community pools, tennis & walking trails. MLS#2201592. 4025.